When it comes to making food green, the options vary from adding spinach to sprinkles. 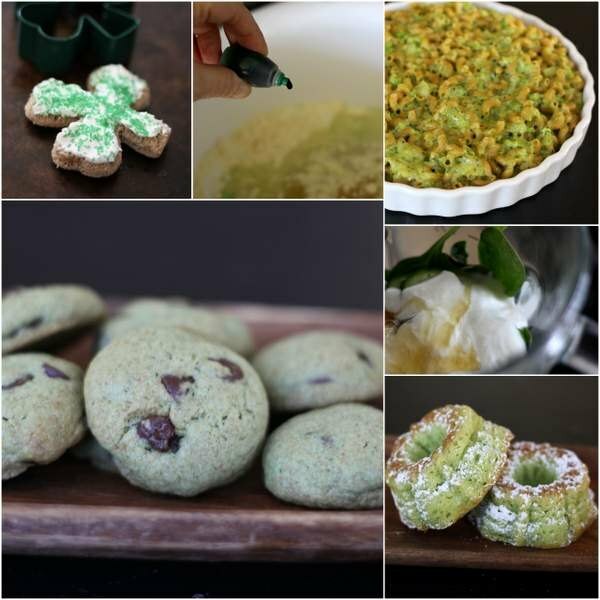 Here are 8 ways to put a little punch of green into your St. Patrick's Day menu. Raw, wilted or pureed, spinach is one of the healthiest ways to color otherwise regular recipes green. To make pureed spinach, put a handful of raw baby spinach (it's the most tender) or frozen spinach (it's already blanched) into a microwave-proof bowl and add a teaspoon of water. Heat for 30 seconds until wilted then puree in a blender. And there's more. It's also easy to make food green by using pistachio pudding, food coloring, avocado, broccoli and even sprinkles. We've got ideas for all of these ahead. One of the easiest ways to make sweets more festive--and a little healthier--is to add a good-for-you ingredient like spinach puree. Just add 1/2 cup spinach puree to your favorite cupcake recipe, boost the baking soda by 1/2 teaspoon and add 1/4 cup of flour. Cook for an additional 2-3 minutes and voilà! Green cupcakes. Spinach doesn't have to be cooked to add color. Including a handful of raw baby spinach in a smoothie like this one--full of fresh pineapple, banana, yogurt, honey and kiwi--is a great way to get it green (and more nutritious, too). To your favorite yellow cake recipe, add a box of pistachio pudding mix and a teaspoon of almond extract. It's not only festive looking but the flavor is special too. While the pudding is slightly green, you may want to add 5-7 drops of green food coloring too, if your goal is a richer green color. Sometimes an old stand-by is the simplest way to get food green, and that's what makes food coloring so handy. To your favorite chocolate chip cookie recipe, add 15 drops of food coloring plus 1 teaspoon of pure mint extract. Hint: Add the food coloring and mint when you're creaming the butter. The fats in the butter will help carry the flavor and color throughout the batter as you add more ingredients. Broccoli florets, frozen or fresh, can add a whole lot of color to a savory dish in a hurry. To get green mac & cheese, add 2 cups of finely chopped broccoli florets to your favorite homemade mac & cheese recipe. And instead of using plain milk, get out the blender and combine 1 cup of raw baby spinach to the milk called for in your recipe. A second pop of color, not to mention double the nutrition. 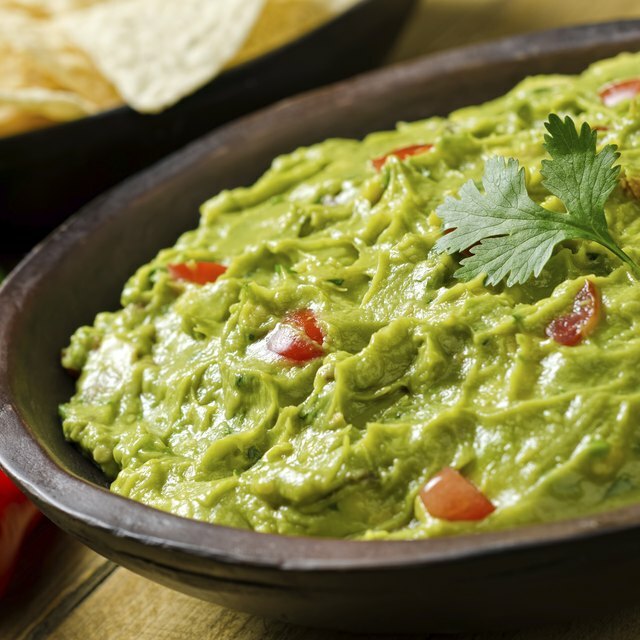 We added one ripe avocado to our favorite white bean hummus recipe (1 can of beans plus a little olive oil, a clove of garlic and juice of 2 lemons). The result was not only a pretty green color, but an even smoother taste. Sometimes the easiest way is the best. Spice up your St. Patty's Day breakfast with the help of a shamrock cookie cutter, cream cheese and a few sparkly green sprinkles. Charity Curley Mathews is a mom, media consultant, food writer and founder of Foodlets.com. Her dream is to help families raise children who eat—and enjoy—real food. You can find her most recent posts, recipes and stories on Facebook, Pinterest and Twitter. What Does Adding Applesauce to Cake Mix Do?